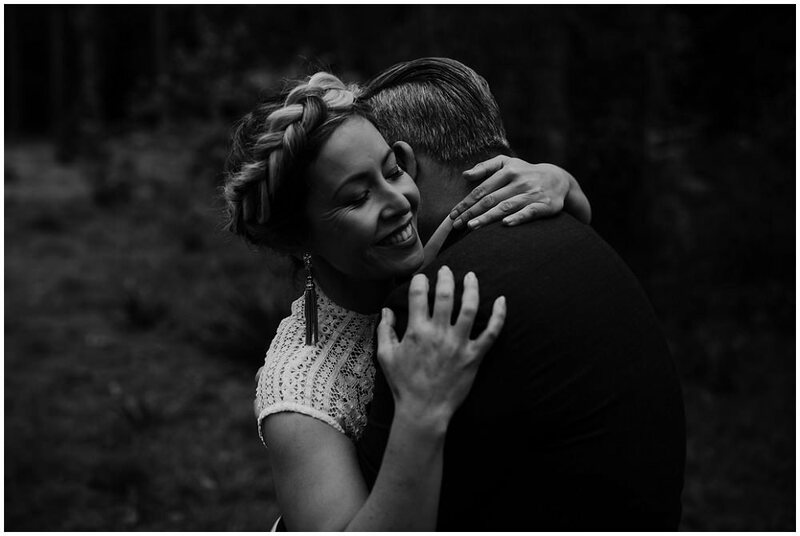 Venita and Gareth know how to throw a simple beautiful wedding with a few twists. For one thing, they didn't have any bridal party -- except their dog Plucky. They had a hat draw to pull out two names at random, who instantly became the witnesses. Everyone gave a toast at the end of the ceremony, so they all had their glasses charged. 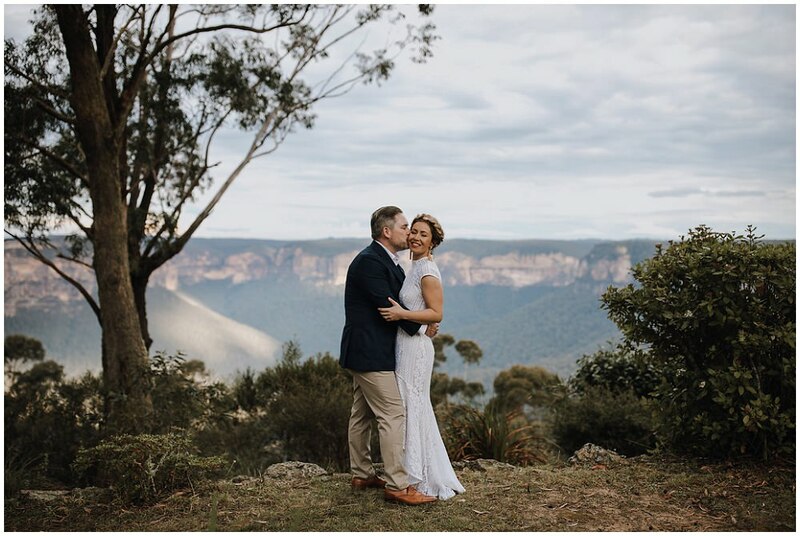 They like the feeling of nature, and AllView Escape in Blackheath Blue Mountains was a great choice for their ceremony and reception. 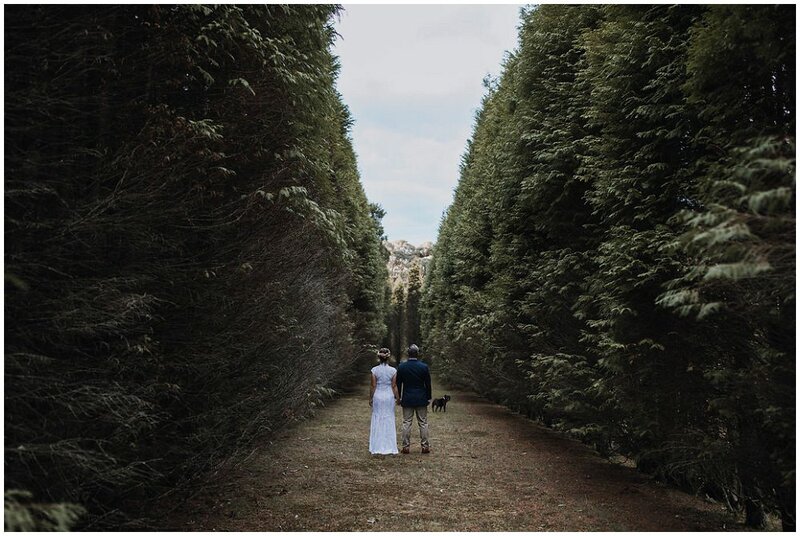 Pine trees, ferns and escarpments made the wedding's mood incredible!